We Offer Our Poker Services in Jupiter, Florida! 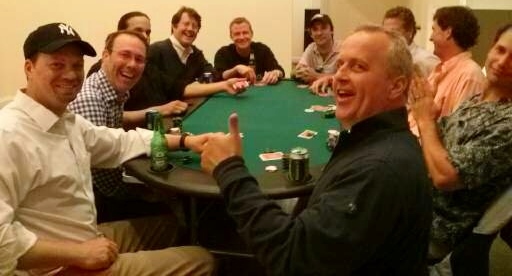 One of the areas in which we excel is fundraising poker tournaments. Due to a number of effective tactics and structures we employ with the guidance of our client as to what their guests may enjoy best, we have successfully assisted past clients in raising funds above and beyond their original fundraising goals for their poker tournaments. And what better cause is there besides charity? Whether you’re hosting a multi-table poker fundraiser, a birthday party casino night, or even just an intimate home game with a few close friends, we will assist you in planning and executing the event professionally and enjoyably. Additionally, we will soon be populating the Resources and Deals page of our website, which will offer you great opportunities to save money while hiring other professional vendors in your area to complete your event – everything from venues to staffing to party favors. Check that page often for new additions, and follow us on Facebook and Twitter for regular updates regarding that page.